How do I add / edit text? 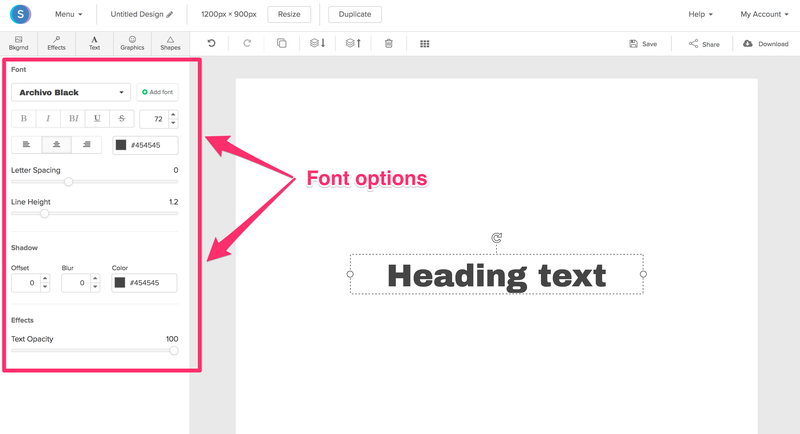 Once you're in the graphic editor, click the Text tab. 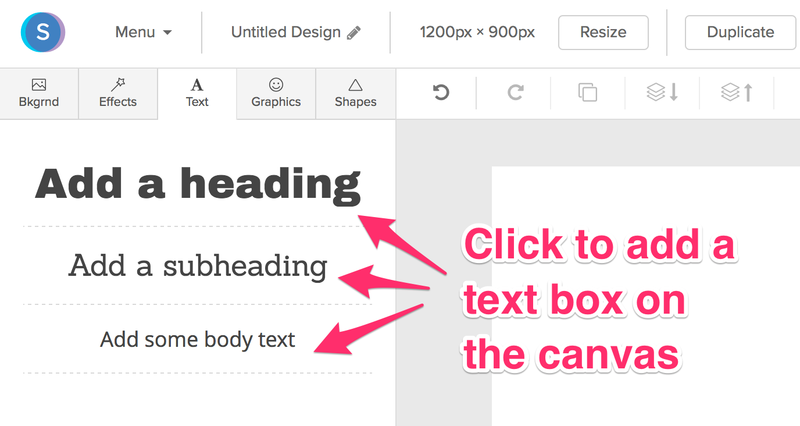 From here you can add a heading, subheading or body text. All three options will add a text box onto the canvas, they'll just have different starting fonts and sizes. 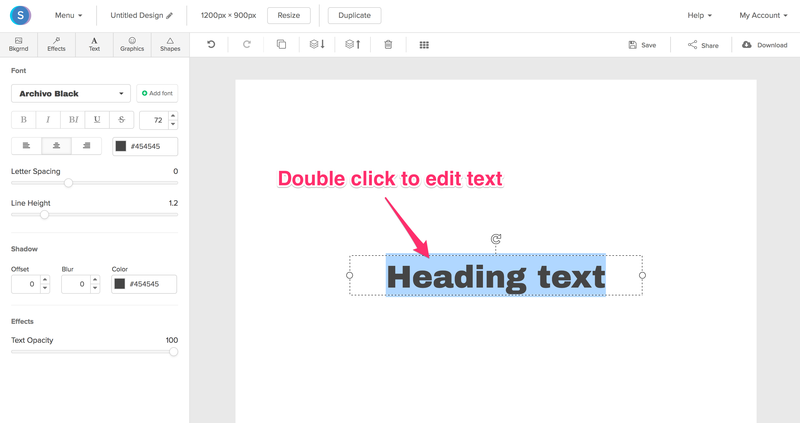 To edit the text, simply double click on the text box. The text box will then become highlighted. 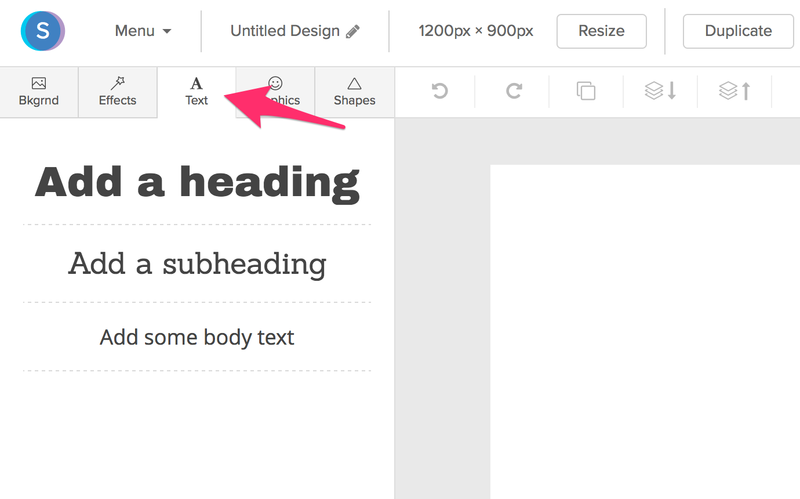 To modify the font, size, and other font options, use the selections in the left-hand pane.